Federal prosecutors have asked a judge to sentence Michael Cohen, the former personal lawyer for U.S. President Donald Trump, to a "substantial term of imprisonment" for paying an adult film star hush money on Trump's behalf, while court documents reveal Cohen was fielding outreach from Russians as far back as 2015. 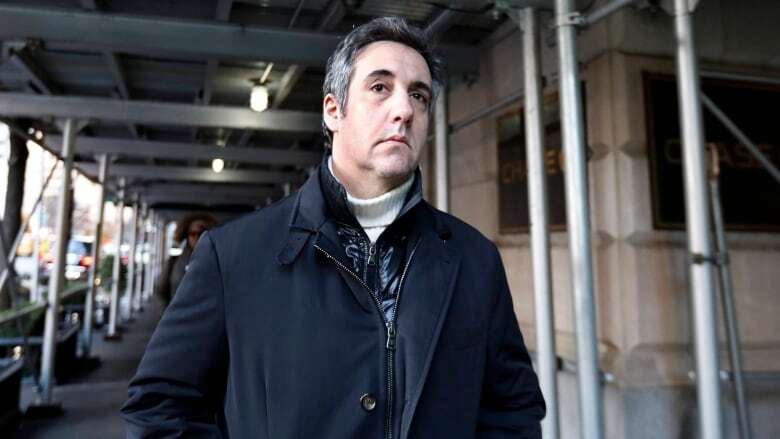 Federal prosecutors in Manhattan on Friday asked a judge to sentence Michael Cohen, the former personal lawyer for U.S. President Donald Trump, to a "substantial term of imprisonment" for paying an adult film star hush money on Trump's behalf and evading taxes. In the process, court filings now reveal that Trump's former legal fixer was fielding outreach from Russians who could offer the Trump campaign "political synergy" as far back as 2015. The documents show Cohen told prosecutors he and Trump discussed a potential meeting with Russian President Vladimir Putin on the sidelines of the UN General Assembly in 2015, shortly after Trump announced his candidacy for president. 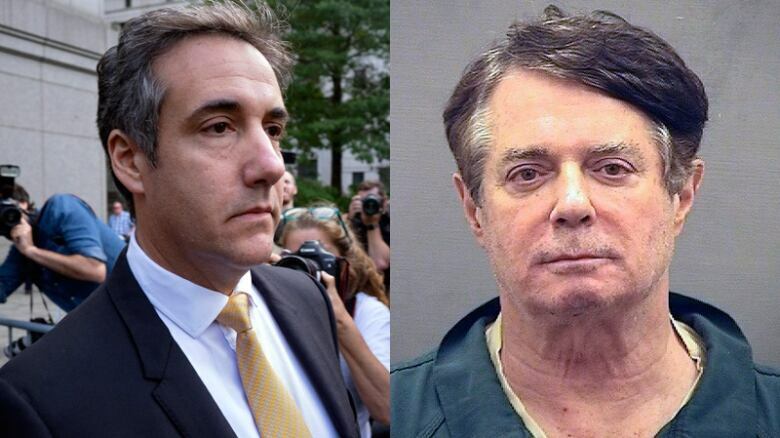 Cohen, who has been co-operating with U.S. special counsel Robert Mueller's probe into possible collusion between Russia and Trump's 2016 election campaign, pleaded guilty to the charges in August. He also pleaded guilty last week to a separate charge by Mueller's office that he lied to Congress about discussions over the construction of a proposed Trump Organization skyscraper in Moscow. In a separate filing on Friday, Mueller's office said Cohen should serve any sentence imposed for that crime concurrently with the sentence imposed for the New York charges, saying he had gone to "significant lengths to assist the special counsel's investigation." Mueller's office also provided new details Friday on how Paul Manafort, another of Trump's closest former aides, lied to federal investigators about a payment and contacts with Trump administration officials. The New York prosecutors said in their filing that Cohen should receive some credit for his co-operation with Mueller, but noted that he had not entered into a co-operation agreement with their office. They said his Dec. 12 sentencing on campaign finance violations, tax evasion and other charges, should reflect a "modest" reduction from the roughly four to five years they said federal guidelines would suggest. "After cheating the IRS for years, lying to banks and to Congress, and seeking to criminally influence the Presidential election, Cohen's decision to plead guilty — rather than seek a pardon for his manifold crimes — does not make him a hero," the filing said. In a footnote, Mueller's team writes that Cohen conferred with Trump "about contacting the Russia government before reaching out to gauge Russia's interest in such a meeting," though it never took place. An attorney for Cohen declined to comment on the "significant" prison term recommendation. Mueller's office submitted the filing Friday to a U.S. District Court judge in Washington who had asked for more details on Mueller's allegations last month that Manafort, Trump's former campaign chairman, had breached a plea agreement by lying. "In his interviews with the Special Counsel's Office and the FBI, Manafort told multiple discernible lies — these were not instances of mere memory lapses," Mueller's office said in the filing. According to the filing, Manafort lied about his interactions with Russian-Ukranian political consultant Konstantin Kilimnik, Kilimnik's efforts to tamper with witnesses, the circumstances surrounding a $125,000 US payment to a firm working for Manafort and Manafort's contacts with officials in the Trump administration. Manafort also provided investigators with shifting accounts about information relevant to another Justice Department investigation. The filing also said that Manafort, who maintains he has been truthful with Mueller, appeared before a grand jury twice. Mueller's probe has infuriated Trump, who has regularly issued tweets criticizing Mueller and his team. The president has denied any collusion between his team and Russia, and accuses Mueller's prosecutors of pressuring his former aides to lie about him, his election campaign and his business dealings. The president has called Cohen a "weak person" and excoriated what he calls "flipping," when defendants opt to co-operate with prosecutors. Trump lashed out in new tweets early Friday, again questioning prosecutors, and accusing federal investigators and senior officials of having conflicts of interest without offering any evidence. He said his legal team would prepare a rebuttal report to whatever is produced by Mueller, who in May 2017 was given the brief investigating "any links and/or co-ordination between the Russian government and individuals associated with the campaign of President Donald Trump; and any matters that arose or may arise directly from the investigation." 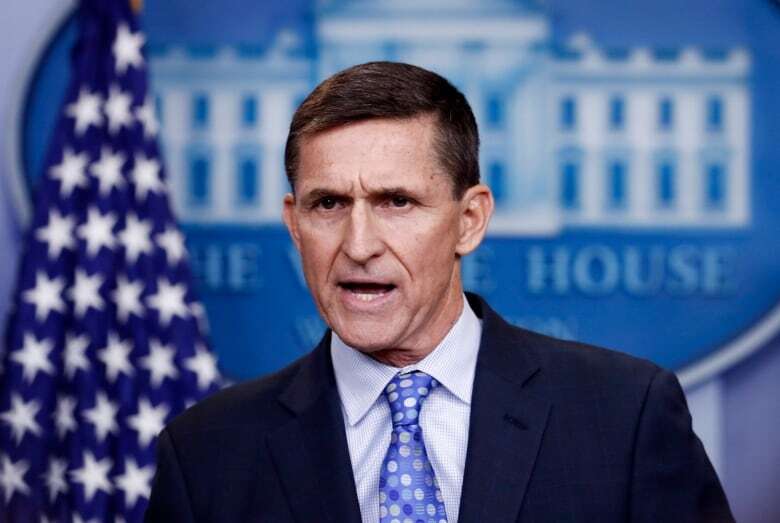 In the memo, Mueller praised Flynn for providing "substantial" co-operation and argued that he should receive no prison time, a move widely seen by legal experts as a message to other would-be co-operators that assistance would be rewarded. Cohen had hoped prosecutors would make a similar recommendation, emphasizing in a court filing last week that his decision to co-operate came in the face of fierce criticism by Trump of Mueller's probe. Cohen's lawyers had also argued that celebrities engaged in similar tax evasion cases — one of the core charges against him — have faced only civil penalties. The lawyers said his financial crimes were unsophisticated, noting no overseas accounts were used. Trump's reaction Friday prompted a social media response from critic Adam Schiff, the Democratic congressman from California, who called it a "meltdown." What Trump is saying: It’s a witch hunt. We will have our own report. Mueller is bad. Comey is worse. Rosenstein is no picnic. 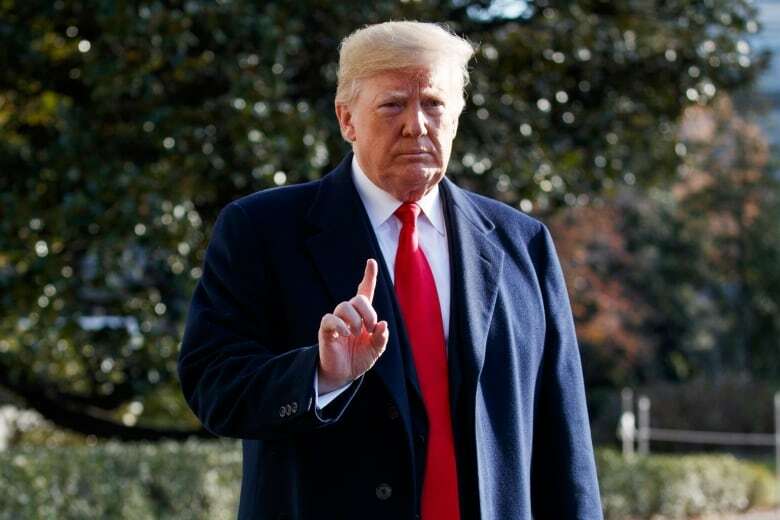 Why don’t they go after Hillary and Brennan, anyone but me?<br><br>What he means: When Mueller’s report comes, it will be bad.<br><br>Why he says it: Meltdown. In addition to Trump's denials, Russia has claimed it did not attempt to interfere with the 2016 U.S. presidential election, although Mueller's investigation has led to the indictment of over two-dozen Russian individuals and entities. So far, Republican Senate majority leader Mitch McConnell has resisted calls from colleagues to use legislation to theoretically protect Mueller from firing. In addition to the Mueller probe, the Trump administration will face more inquiries when the Democrats take control of the House in January. The party's leadership has promised to vigorously pursue areas of investigation into Trump's finances and Trump team contacts with foreign actors, having accused the Republicans of choosing party loyalty over proper oversight the past two years.